For someone who has dealt with pretty troublesome skin (body mainly) I sure know how to not take care of it very well. 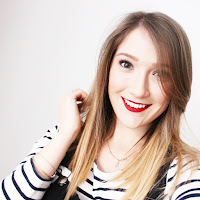 This is why, when it comes to trying out new skincare, firstly, I get very excited and secondly, I take my time in whether or not a product works for me. Janjira is a brand which originated in Thailand, which is inspired by Thai culture, tradition and the bathing rituals of ancient Thai royalty (basically I'm royalty, what can I say). If I could use only one word to describe the products from this brand it would be Spa. I love me a Spa, but unfortunately we all know that they can be pretty pricey so to be able to have products that smell of a spa and transition you to a place that feels like a spa in the comfort and price of your own home is pretty amazing. 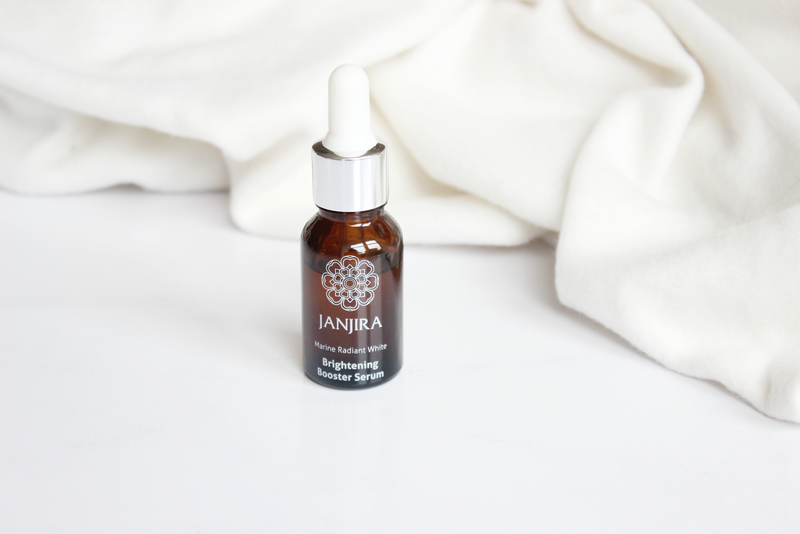 The Janjira Brightening Booster Serum* is aimed at hydrating the skin and brightening it. At first my skin had a little bit of a meltdown, I did experience a couple of spots (although they could've been hormonal, it's hard to tell with me) but after around a week, they completely disappeared and I've been noticing that my skin has become a lot more hydrated and less dry. The dry patches around my nose have nearly disappeared and are a lot less angry and red. I apply a couple of drops to my skin once I've cleansed and toned and the smell of this product is so relaxing and although it's a very different consistency to my usual serums I've been loving it. Another one of the products I've fallen head over heels for is the Janjira Pomegranate & Acai Facial Mask* it's incredibly hydrating which must be the Shea Butter and my face feels fuller and more plump after using it. Although it's not one of those 'peeling off' masks or clay masks, it does mean it can be used overnight as a overnight treatment which I'm still yet to try (I tend to get most of the product on my pillows when I try them). Another body skincare product I was impressed with was the Janjira Thai Lime & Ginger Body Butter*. I absolutely love Ginger in my skincare routine as it's great for soothing out uneven skin which I do suffer with on my arms. The body butter dries quickly and actually absorbs into the skin rather than just sitting on top of it. The only product I was sadly disappointed with was the Janjira Thai Lime & Ginger Sugar Milky Body Scrub* Unfortunately I suffer with Keratosis pilaris which is literally the bane of my life. The only singular skincare product that has ever helped it is the Lush Buffy Body Bar and unfortunately this didn't really help soothe out my skin, so I'll give this to my mum to try out for herself and hopefully it will go to good use! Let me know in the comments below if you've ever tried out Janjira and if not, what's been your recently favourite brand you've tried out! I've not heard of this brand before but everything sounds great!